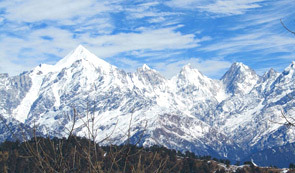 One of the giant snow-capped Himalayan peaks lying at the end of the eastern Kumaon region; Panchachuli Peak is a famous attraction of Uttarakhand. The peaks have religious significance for the locals and for the adventurists its Base Camp is an ideal option for a short trek. Usually, trekkers thronged towards the base camp of the Panchachuli Peak between May and September. Starting from Almora, the trekking trail passes through Dharchula, Tawaghat, Sobla, Dhar, Sela, Balling, and Duktu, and then finally concludes at Panchachuli. During the journey, trekkers will come across gorgeous Darma Valley, which offers the splendid view of the Panchachuli peaks. 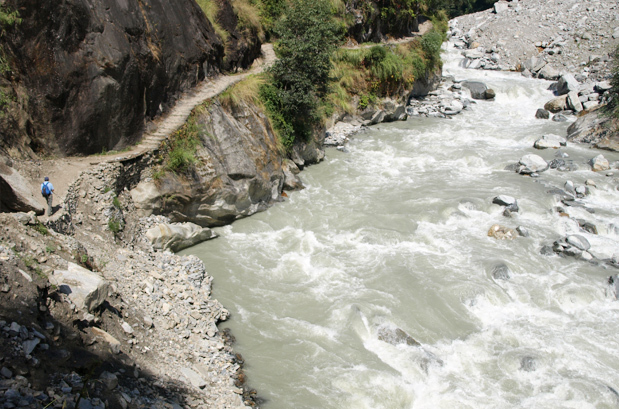 The trail from Duktu to Panchachuli glacier is hard to follow. However, determination and strategy can help to overcome these difficulties. The route that heads to Panchachuli glacier traverses through enthralling scenery with snow-capped mountains gushing streams, alpine meadows and rich flora and fauna. The trail also goes through several tribal villages like Bongling, Sela, Nagling, Baaling and Duktu and cuts and run through Dhauliganga and thick forests of deodar and Bhojpatra and conifer. 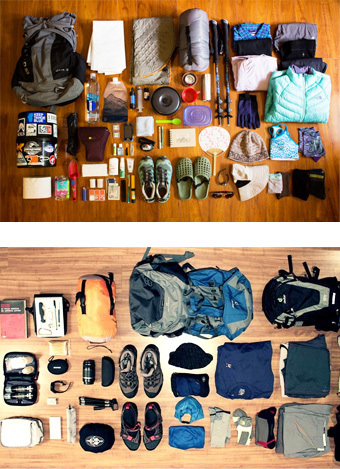 The ethereal feel all through the expedition is what makes this trek different from others. Description of this trek can't be done in few words; it would be an injustice to the scenery that unfolds in front of trekkers eyes to behold. 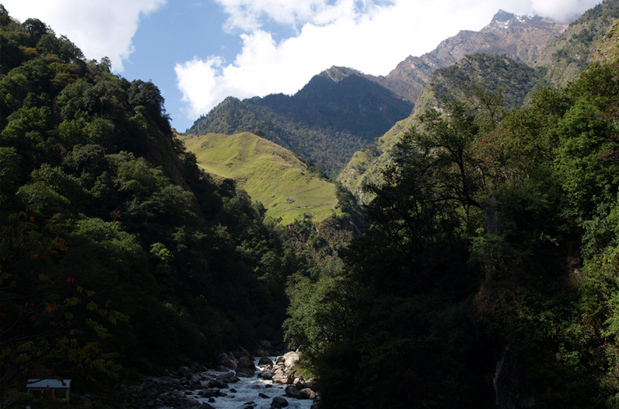 Behold the beauty of the trek by catching glimpse of waterfalls, valleys, streams and peaks. 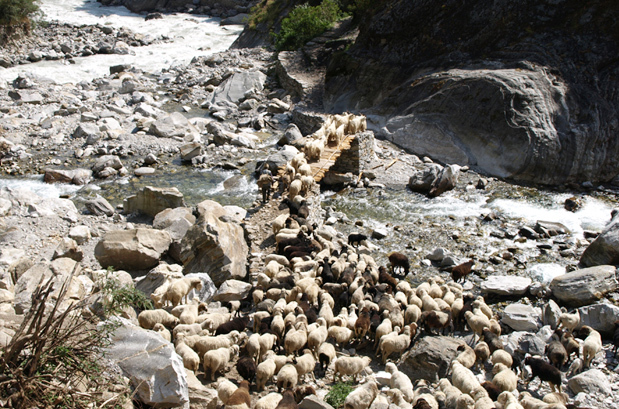 Summer: Summer months mid-March till mid-June are the best time to trek to Panchachuli Base Camp Trek. 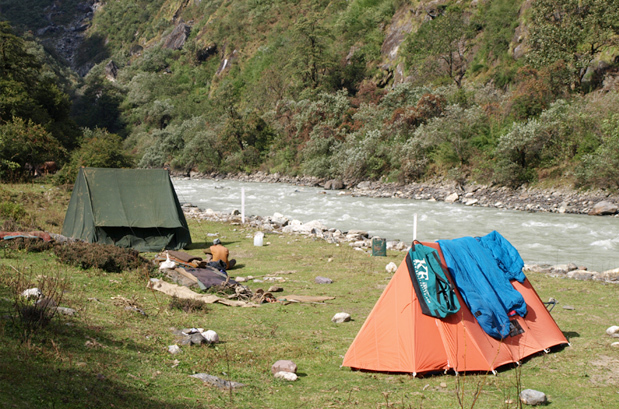 The sun warms up the cool region of Panchachuli Base Camp Trek and trekkers find it easy to cope with the environment. 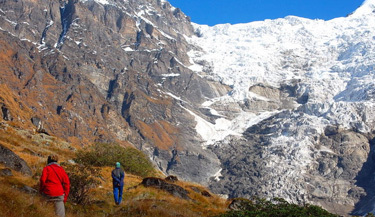 Spring: Mid-September to late October, the charming spring favors trekkers to make way to Panchachuli Base Camp Trek. Pleasing sun and calm weather. Winter: season starting from November till late February, the temperature falls significantly low and thus tourists cannot trek in Panchachuli Base Camp. 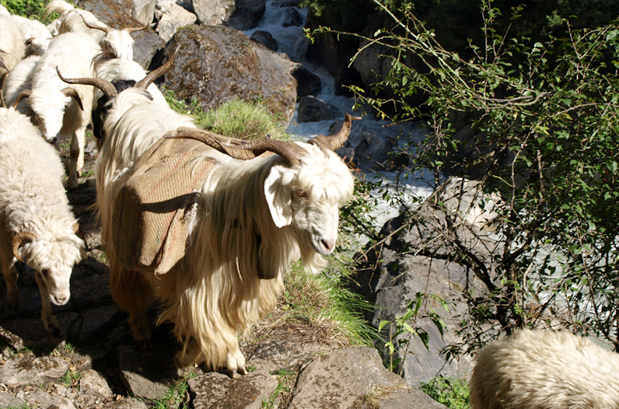 Where is the Panchachuli Base Camp Trek? 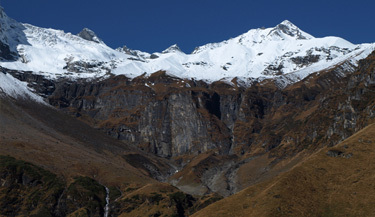 Basecamp of Panchachuli peak is located quite close to the Dantu Bugyal. 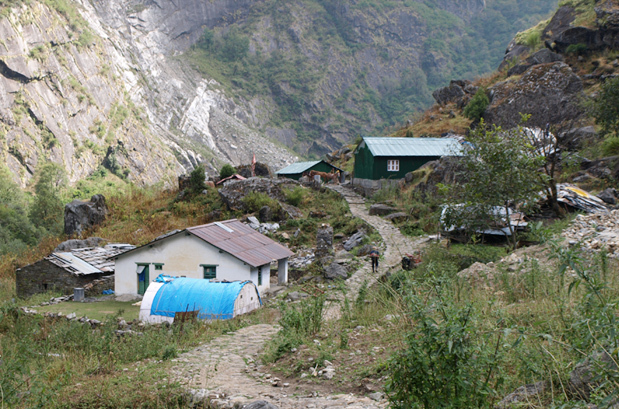 A strenuous walk through the narrow trails of Son will take you to the Basecamp of Panchachuli. Wildflowers and wild strawberries grow on either side of the narrow path, which has steep climbs and descends till you reach the Basecamp of Panchachuli peak. How to Reach Panchachuli Base Camp Trek? By Air: Pantnagar airport is the nearest airport 280kms from Dharchula. Pantnagar airport is well connected with Delhi. By Rail: Kathgodam railway station Nainital is the nearest railhead 265km from Dharchula. Kathgodam railway station is connected to major cities of India. By Road: Dharchula is nearest road head and is well connected by the major cities of Kumaon Himalaya like, Nainital, Haldwani, Kathgodam, Almora, Bageshwar, Munsiyari. Arrival at Kathgodam by early morning, here meet our guide and transfer to Dharchula via Pithoragarh. You will reach at Pithoragarh by the evening time. Upon arrival check in to the hotel. Dinner and night stay at the hotel. Post breakfast we will leave for a short yet exciting drive to Sobla via Tawaghat. We will start trekking from here and trek up to Dhar. Sobla is the entrance to the Darma Valley and also the starting point of this trek. Once we reach at Dhar village we will pitch a tent for dinner and overnight stay. Today's stretch of the trek is easy. Half of the trail needs to be covered walking upwards whereas the rest half requires to walk downwards. Dinner and overnight in tents. Post breakfast trek up to Baaling. You will get the real adventurous feel in this route. Upon arrival set out the tent for dinner and overnight stay. Today morning we will trek up to Duktu and Dantu. 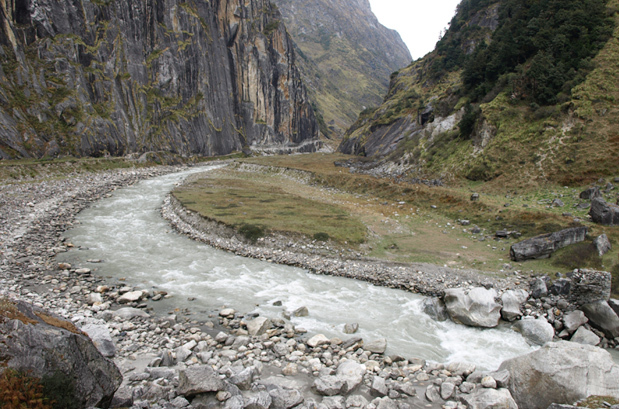 Duktu and Dantu are the two adjacent villages which are the last human habitation in this part of Darma valley. 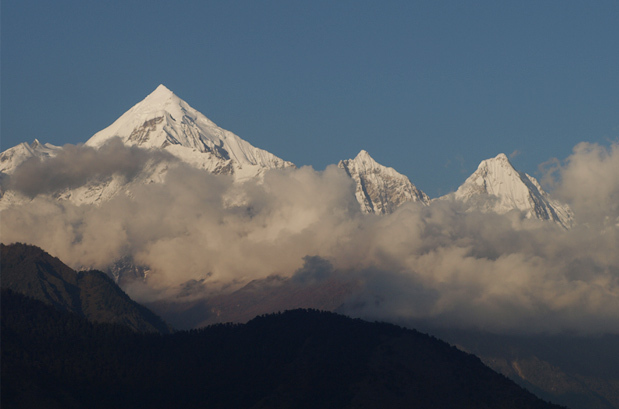 You will get to witness the startling views of the Panch Chuli peaks from here. In the outskirts of Duktu you will get to see a huge meadow. One can see the magnificent view of Panch Chuli glacier with the backdrop of the Panch Chuli peaks. Dinner and overnight stay in tents. Post breakfast we will trek to Pancha Chuli glacier. Today we will get to see the Panch Chuli glacier from our base camp at Duktu. Once you explore the area to the fullest, trek back to the base camp at Duktu. Dinner and night stay at camp. In the morning we will trek back to Nagling. Duktu to Nagling is a gradual descent. Today's walk is around 5 hours. Today we will trek down to Bungling. The descend is easy. Dinner and overnight stay in tents. Today we will trek down 5 km to reach Sobla. From Sobla we will drive to Dharchula. Dinner and overnight stay in hotel. After breakfast drive to Kathgodam and from here catch night train for Delhi. Overnight train jpurney. 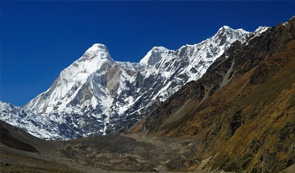 When to book Panchachuli Base Camp Trek? You should book Panchachuli Base Camp Trek two months in advance so that you get ample amount of time to prepare well for the trek. Our pick up and drop point for Panchachuli Base Camp Trek is Old Delhi train station. We will send you the train ticket and you can board train from there to Kathgodam. At Kathgodam our guide will pick you from train station and then from there your tour will start. What is minimum age required for Panchachuli Base Camp Trek? The Panchachuli Base Camp Trek is a moderate trek with a maximum altitude of 4260 mts/13975 ft minimum age required is 10 years. What will be the minimum temperature during Panchachuli Base Camp Trek? How long we trek during Panchachuli Base Camp Trek?